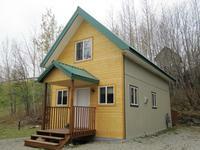 Located in the heart of Wasilla, 'Alaska Dreams' is an Alaskan themed vacation rental with all the amenities. Comfy furnishings, a large flat screen television, private deck and wifi will make you feel at home while you live your Alaskan adventure. Did you ever secretly wish you were a gold miner, prospector or frontier person? Here is your chance, minus all the hard work, inclement weather and the risks! 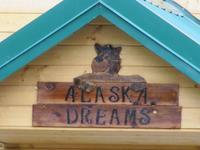 Alaska Dreams is an ‘everything Alaskan” cabin with decorations ranging from fishing, dog sledding and snow skiing. 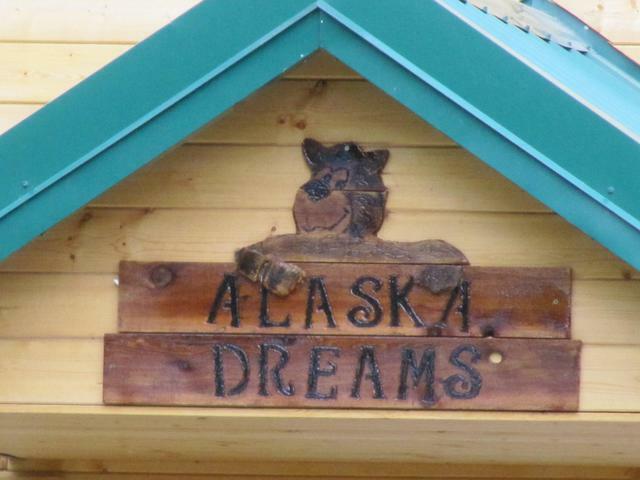 If you need a little extra room, Alaska Dreams has two queen sized log beds and an additional twin sized log bed. All mattresses are pillow tops so that you can feel as if you fell asleep atop the clouds over Mount McKinley. The main bath with tub and shower combo is on the 1st level (main living area) you have the added convenience in the ½ bath upstairs. Don’t want to pack much or do you anticipate shopping while you are here? 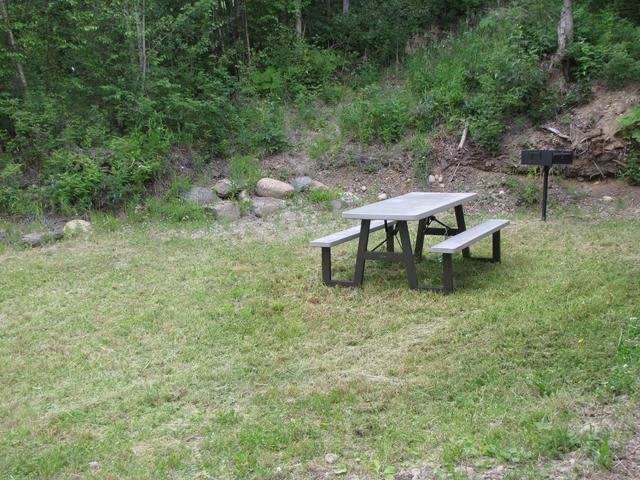 No worries, Alaska Dreams is equipped with a convenient washer and dryer. The driveway is shared with Fisherman’s Folly but there is private parking directly in front of each cabin, so you can easily book both cabins for a reunion or group travelling together. This way your family or friend can be close by but you can still have your own personal space. Whether you choose to relax and get away from it all or simply use the charming cabin as a place to rest your weary head after exploring Alaska, comfort and convenience are foremost with Suite Dreams Alaska! You can choose your theme in one of four 'cabins' but the amenities are the same. Each has a full kitchen, full size refrigerator, dining area, living room, large bedroom area, full bathroom, washer & dryer and private decking. Great for vacations, honeymoons, family and class reunions, a long weekend retreat or simply as temporary housing. Two children under the age of 12 are excluded from additional guest charges. This property has 2 Queen(s), 1 Twin(s). 30 days cancellation required prior to arrival date. Cancellation made more than 30 days prior to the arrival dates will have a service charge of $30. Cancellation made less than 30 days prior to the arrival dates will forfeit 100% of deposit. Cancellation policy and "Specials" are subject to change without notice. No refunds due to weather conditions, no shows, early departures or late arrivals. “No Shows” will forfeit prepaid deposit and will be charged the entire balance due. One person in your party must be responsible for payments, property damages and all responsibilities spelled out herein and in the rental contract; this designated person's primary residence address will be used for all notices and correspondence. The advance payment is 50% of the total amount due. The total rate includes all applicable taxes and fees.